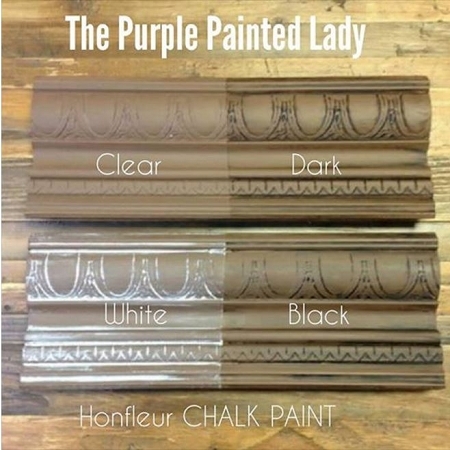 Chalk Paint® Sample Pots....GLORIOUS Sample Po120mL...meaning 4.22 ounces of paint). Annie Sloan's newest paint color - It is a MILK CHOCOLATE BROWN. ....DARK BROWN. The Purple Painted Lady® is so proud of Nancy Teismann!!! 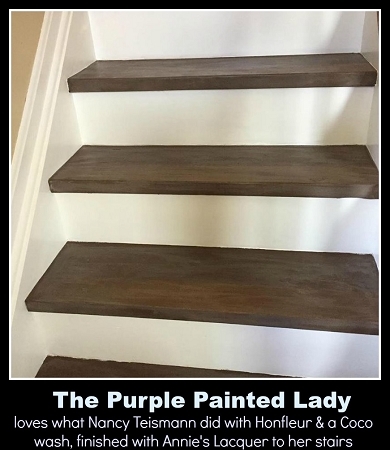 She used Annie Sloan's newest color called Honfleur and did a Coco wash with her Chalk Paint® on her stairs to create an aged rustic stained effect shown in one of the photos here! Then she finished them with Annie's Lacquer- made for high traffic floors! If you have a situation where you want a stain look- but would rather use paint- or have a piece with damage- paint will cover it! 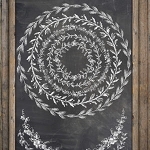 Don’t forget when purchasing Chalk Paint® Decorative Paint by Annie Sloan- to consider purchasing her Clear Wax also. Annie’s paint and wax were created to partner perfectly together! The paint itself will harden but the wax will truly protect it! The wax does completely harden and it becomes hard and is water repellent. It is a wonderful protective finish that you can buff once dry- to the sheen you desire.